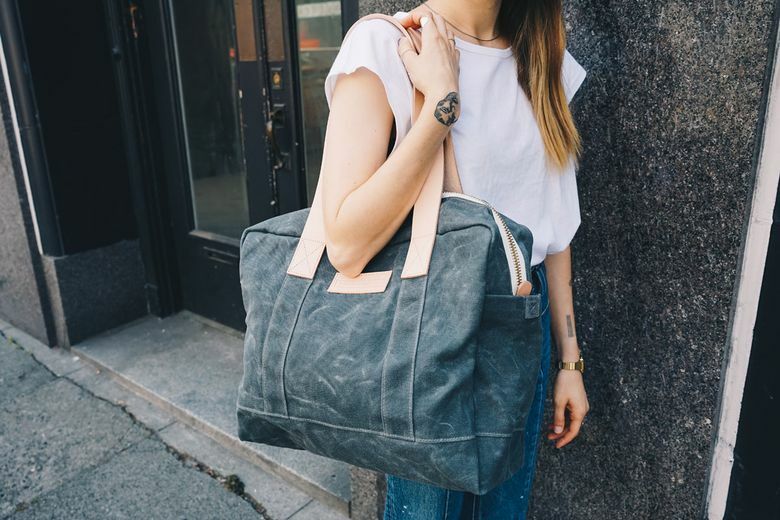 Waxed canvas and a water-resistant lining make this unisex bag perfect for fall in Seattle. Back-to-school shopping isn’t just for the little ones. You deserve a fall pick-me-up, as well. The J. Leavitt Supply Co. Gallatin Carryall, handmade in Sodo, is the perfect fall bag for both men and women. Made of waxed-canvas with a water-resistant lining, the sturdy and handsome bag will keep everything inside dry as the weather starts to shift. It features handles made with vegetable-tanned leather, and an optional leather bottom for extra protection against the elements. And, at 15-by-13-inches, it makes a very versatile book bag.